Wow, useless machine has been keep on evolving, this one has taken useless machine to even higher level! Want to see what is inside a MacBook Air 13" Mid 2013? Read the iFixIt's latest installment. Apple has been very successful in super thin and slim laptop, and I believed Apple will continue that. However Apple's iPhone, or iOS to be more specific, is going to wrong direction with features which copied from Android, Windows Phone, and BlackBerry. Apple has been suing many companies because they claimed that these company copied their design. However now they are the one copying the rest. From this video below, you can find traces of Android, Windows Phone and even BlackBerry. iOS7 and Apple, welcome to the world of copying. Steve Jobs would jump out of his grave to scream at Tim Cook, if he can do it. 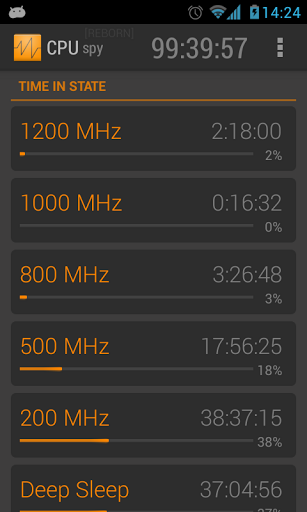 Wonder how is the CPU on your phone is being use? Do you really need a quad core or octa core on your new smartphone? Are your smartphone really sleep when you ask it to sleep? 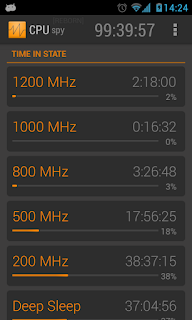 CPU Spy is a good apps to do the job. Yes, I am a geek, I always like to know what is going on inside my laptop and phone, I found this apps from XDA forum. This apps is not exactly new concept, the original apps has been around for 2 or 3 years on XDA and Google Play. But the interface of the original apps was not keep up to date with Android OS. So Mirko Dimartino got the permission of the CPU Spy to re-create the apps. There are so many Windows 8.1 right now at youtube. This one should be some sort of official from Microsoft. Watch for some new features added on Win8.1, or supposedly being native on Windows 8 but was left out by MS.